At online and land-based casinos, there are many different games from which you may choose. Each game has its own odds. These odds are expressed as the “house edge.” The smaller the house edge, the better your chances are of winning, or perhaps a better way to think of it is the lower the house edge, the less money, percentage wise, you are likely to lose per bet. The house edge may be defined as the ratio of the average loss to the initial bet. Don’t think of it as the ratio of money lost to total money wagered. House edge is concerned with the initial wager. That’s because in some games a player may increase their wager during a round when the odds are leaning in their favor. Gamblers can use the knowledge that they have of each house edge to determine how much they stand to lose when playing a specific casino game. As an example, if the house edge in blackjack is 0.6%, a player can estimate that for every $10.00 originally wagered that, on average, 6 cents will be lost. Remember that loss is on average, thus you may lose two bets and then win three straight. The house edge acts as a barometer to estimate the amount of risk a gambler is taking. Below we have provided a chart the covers the full range of casino games and the house edge associated with each. The games that have the lowest house edge include baccarat, blackjack, certain craps bets, Spanish 21, certain video poker games, and specific slot machines. Overall, online slots have a very low house edge. The game that has the lowest house edge, and perhaps for this reason it is the favorite amongst online and brick and mortar casino players, is blackjack. The single-deck edge is at 0.20%, while the eight-deck version offers a 0.63% edge. Craps has a wide variety of bets with Pass Plus 100x Odds having the lowest edge, 0.02%. The most common craps bet is the Pass/Come, with a relatively low edge of 1.41%. The Proposition Seven bet at the craps table is the toughest to hit. The bet, which is made on the next roll of the dice, is won if a seven is rolled on that one toss. Its house edge is a whopping 16.67%! If you can be the Bank when you play baccarat, which online casinos will not allow but some land-based ones will, then take that opportunity. The edge when you’re the Bank is 1.17%. That’s because the Bank gets a cut of each win. The house edge for the Player is not bad, as it comes in at 1.36%. European roulette has a moderate house edge, which is at 2.70%. Other casino games that have similar edges include Red Dog (2.69%), Double Down Stud (2.67%), Pai Gow Poker (2.50%), and Three Card Poker- Pair Plus (2.32%). Three Card Poker- Ante and Play offers a smaller house edge of 1.46%. The game with the highest house edge is keno, which ranges from 25% to 29%, depending on how many numbers are on the ticket and how many numbers you must pick right to win. Big Six offers a house edge that ranges from 11.11% to 24.7% and is considered to be a tough game on which to make cash. Tie bets in any casino game always have high house edges, as do any bonus bets. Bonus bets, which involve hitting a specific type of hand, rarely payoff, and they are considered by many to simply be cash donations to the casino. If the long odds bet does hit, you’ll be paid handsomely. American roulette, which includes the double zero and zero bets, has double the house edge of European, which carries the single zero. The American version of the gaming wheel has an edge of 5.26%. 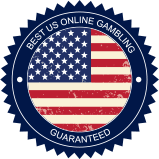 Online no zero roulette, which is a version of this popular game that has eliminated the zeros, is a very good proposition, as it has eradicated the house edge completely. Finally, unlike online slots, many land-based slot machines have moderate to fairly high house edges. Internet-based slots are really a very good deal for players. It’s difficult to find a house edge lower for any other type of casino game than online slots provide. Whatever casino games you decide to play are entirely up to you. But do so knowing the risk involved. Always be aware that the higher the payout odds, the more risk there is that you will lose that bet. Be a smart and informed gambler.